When a road slip occurred on the mountain road to Maerdy we provided a safe, effective and affordable erosion control solution. 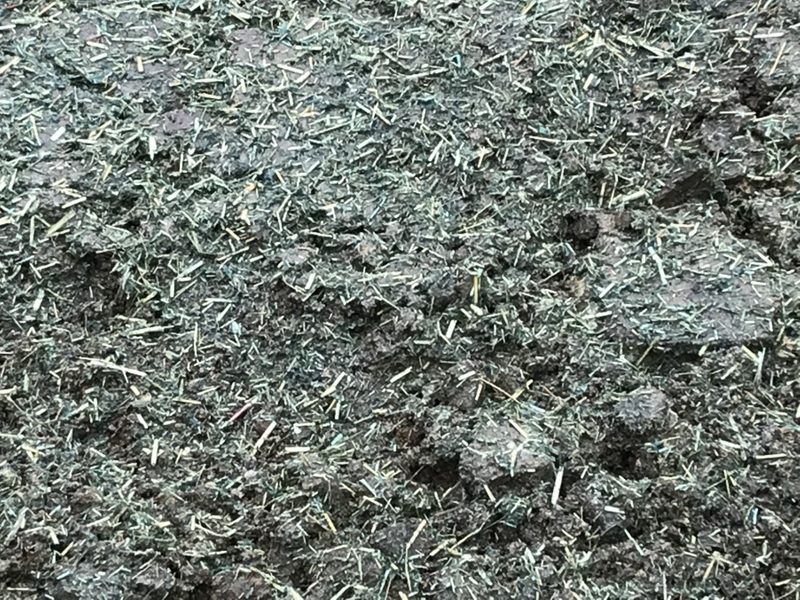 TerrAffix®-Verge was applied as part of a hydroseeding mix, ensuring rapid vegetation establishment. 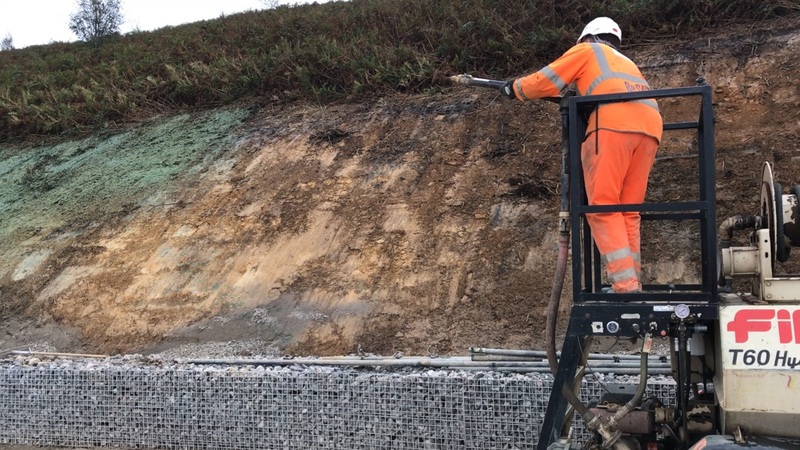 150 metres of roadside verges needed extensive landslip remediation works in order to stabilise the slopes and reopen the road as quickly and cost-effectively as possible. Future-proofing measures to reduce potential standing water and further soil erosion in this stretch of road and others were to be taken into account. Once Rhondda Cynon Taf Council had organised the installation of reinforced concrete beams, piling works and new RAMWALLs to stabilise the mountain, we were able to use TerrAffix-Verge to provide a permanent solution to vegetation establishment and soil erosion control. 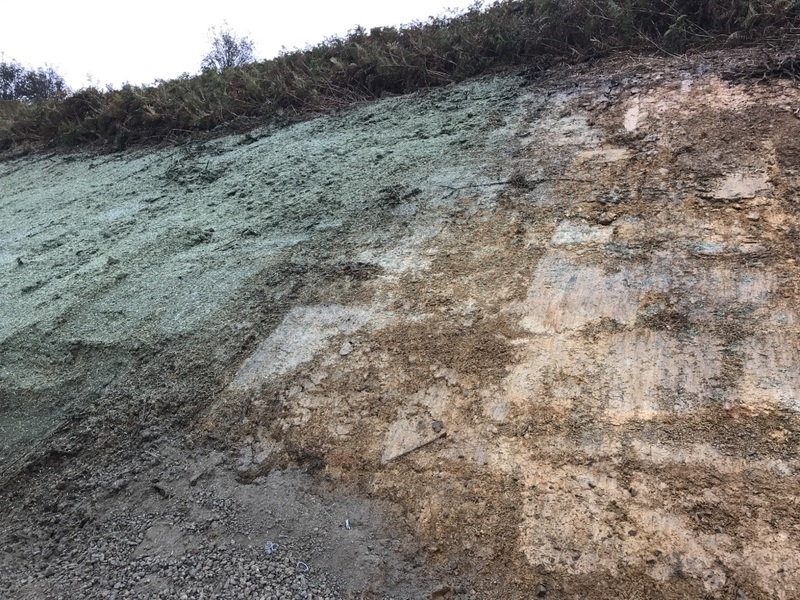 TerrAffix-Verge was used as an additive to HydraCX and was applied directly onto the poor soil of the steep slopes using a FINN75 Hydroseeding unit. Using this unit meant that health and safety issues were reduced substantially and we were able to apply the hydroseeding mix quickly in difficult to reach areas. 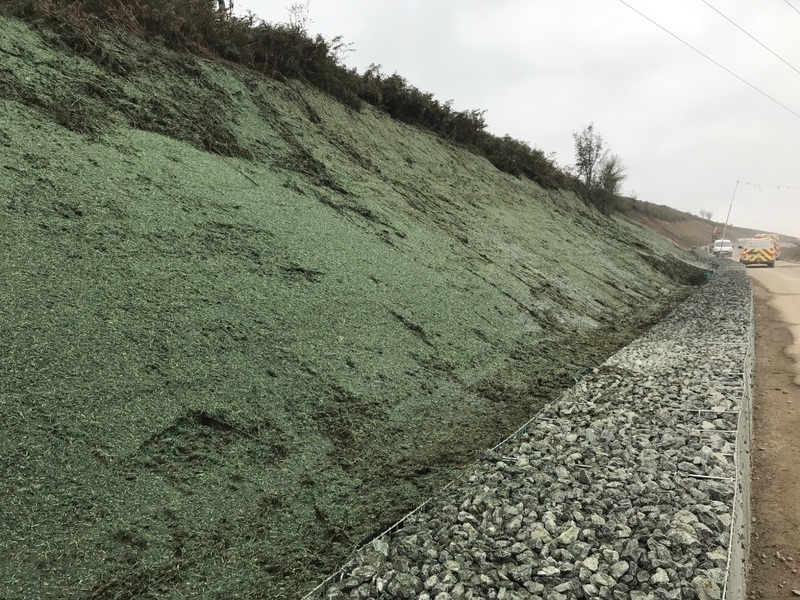 In combination with the proprietary mix, TerrAffix-Verge provided nutrients and minerals for the seeds, enabling rapid vegetation establishment and good grass cover quickly, even where the landslip had eroded the soil substantially. Soil structure, soil aeration and water retention within the root zone of the growing plants was enabled, ensuring the long-term maturation of the vegetation and a bioengineered solution to future soil erosion, reducing the possibility of further landslips. The successful plant growth increased the roughness of the slope’s profile, improving the road verge’s water filtration properties, leading to better land drainage and decreasing the likelihood of future standing water on the road. Maerdy Mountain Road in the South Wales Valleys. The road is the main connection between the Cynon and Rhondda Valleys and is the lifeline for the local population.